Lenovo S8 Golden Warrior is quite a cool android phone with an operating system of 4.2 Jelly Bean, and it's size is of 5.3 Inches. It has a touchscreen keyboard unlike most on-screen intergrated smartphones, and it's avaliable in white, black or gold color covered with a plastic material. 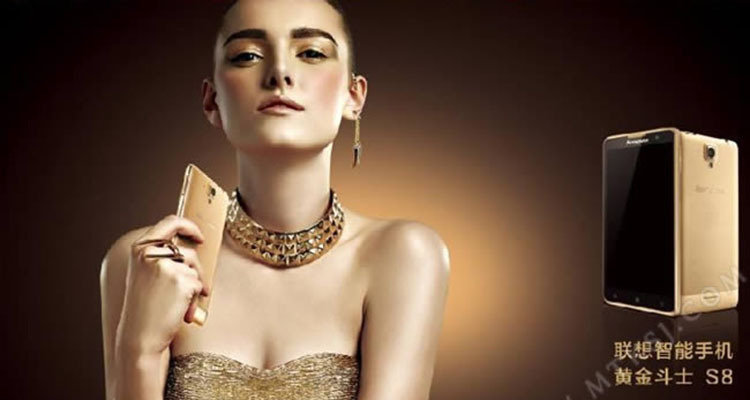 Lenovo S8 Golden Warrior is an android smartphone with operating system (0S) of Android 4.2 Jelly Bean and it's body weights upto 146grams. 5.3 inches, 720 x 1280 pixels, 277 pixels per inch (PPI) and effective display features with Capacitive touchscreen of 16,000,000 colors, corning Gorilla Glass 3 and LTPS. It's primary camera is of 13MP, Geo-tagging, auto focus, panorama, HDR camera with LED flash while the seconday camera comprises of 5MP. It's internal memory is of two version, which are, 8GB memory with RAM space of 1GB and 16GB memory with RAM space of 2GB. And it's processor is of Processors1.7GHz Cortex-A7 CPU, MediaTek MT6592 chipset, Mali-450 MP4 GPU. It also accepts MicroSD card slot of upto 64GB. , DNLA, bluetooth connection of verison 3.0 EDR, Standard MicroUSB port with USB version 2.0 with GPS of A-GPS. MP3, WMA, FLAC, AAC WAV, AMR. - Hangsout/Google talk, Youtube, Google search, Gmail, Maps etc.